The opening concert of the Cascade Winds 2018-2019 season will take place on Sunday, November 4, 2pm, in the Summit High School Auditorium. Admission is free but donations will gladly be accepted. The performance will feature several works by contemporary band composers such as Robert Sheldon (“Der Lehrmeister”) and Rossano Galante (“Nostalgia”) as well as foot-tapping marches by Claudio Grafulla (“Washington Grays”) and the march king himself, John Philip Sousa (“King Cotton”). “First Suite in F” by Thom Ritter George as well as “Buckaroo Holiday” and “Hoedown” by Aaron Copland, will lend an air of Americana to the festivities. “First Suite”, commissioned by the United States Navy Band and, as one might expect, is a work filled with allusions to the Navy and the music making of the Navy Band. Listeners will hear the humor and ruggedness of a sea chantey, feel the loneliness and grandeur of the sea, and sense the adventure of Navy men having fun in a South American port of call. The Copland works are drawn from his ballet “Rodeo” and the music is quintessential American cowboy. Pictures are skillfully crafted to musically replicate the events surrounding a rodeo: perilous bucking broncos, colorful outfits, cheering crowds, an evening hoedown, a first kiss, and unbridled joy. 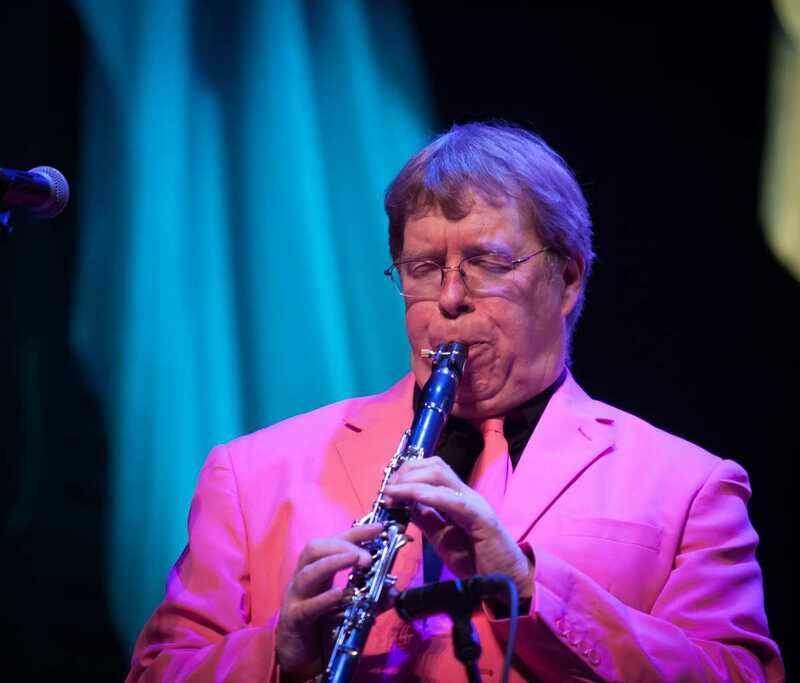 The featured guest artist on the concert is clarinetist, Ted Burton. Burton has been a staple in the Central Oregon Music scene for more than two decades, serving most recently as the Director of Bands at Mountain View High School until his retirement in 2016. He has been involved in the classical scene, performing in the Central Oregon Symphony and the Cascade Winds, but he has a passion and special love for jazz. He has participated in many jazz ensembles over the years and is one of the founding members of the Summit Express Jazz Band. Tapping into Burton’s rich and deep jazz skill set, conductor Michael Gesme has programmed Artie Shaw’s “Concerto for Clarinet,” a staple in the jazz clarinet repertoire. The work was completed in 1940 and displays the full range of Shaw’s talent and artistry, combining jazz, swing and classical elements – a schmaltzy, smear-filled, improvisational tour de force with wailing and high notes galore! Our conductor, Michael Gesme, has programmed a wide range of repertoire for wind ensemble. The fall concert, which falls on Veteran’s Day weekend, has a decidedly Americana theme. Numerous marches and patriotic tunes will pepper the concert, including the “Armed Forces Salute,” during which we will recognize the men and women who have served in the military. Also on this concert are works by several standout contemporary composers, including Brian Balmages, Frank Ticheli and David Maslanka. For the season finale, the percussion section will take center stage with a piece all of their own titled “Scuttlebutt” by Jim Casella. Our principal euphonium player, Nathan Bastuscheck will dazzle your ears with the impossibly fast “Melody Shop March” by Karl King, and we’ll conclude with Steven Reineke’s monumental “Symphony No. 1, New Day Rising,” which evokes the spirit of San Francisco before, during and after the great earthquake of 1906.